What can philosophy do for inclusion? 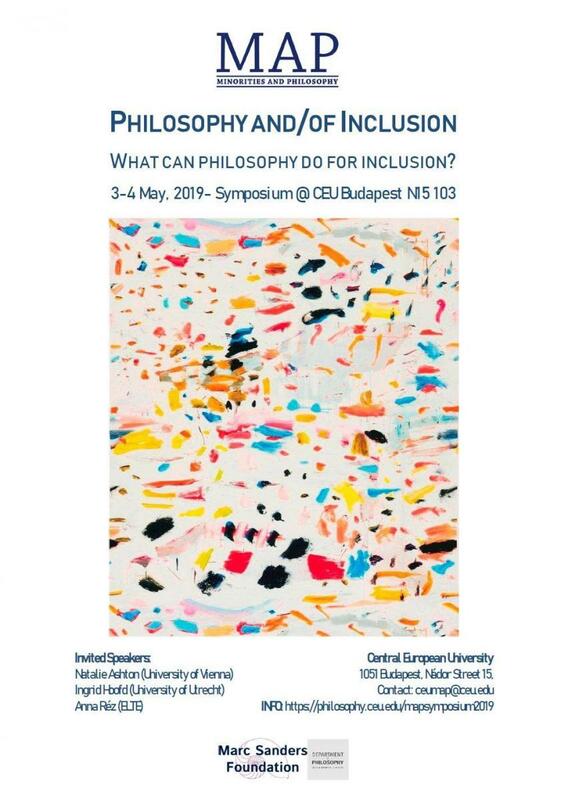 The CEU chapter of Minorities and Philosophy (MAP) is hosting a two-day symposium organized around the topic of underrepresented or oppressed demographics within philosophy and academia, and society in general. Through presented work and facilitated workshops, we want this symposium to highlight standpoint specific thinking and experiences addressing the issues of inequality and inclusion, whether in the theoretical realm or in specific reference to the institutional and professional aspects of academic work. Core focus areas are gender, race, class/economic access, and ability. Some examples may be work on the decolonization of philosophy/academia, feminist and queer critiques, standpoint epistemology, qualitative and quantitative research into the current state of inclusion in academic space, and firsthand accounts of one's experience as a practitioner. The Call for Applications is now closed. From the submissions we got, we hope to select a plethora of MA/PhD/ recent post-doc presentations. In addition to student and post-doc presenters, we will have three invited speakers giving talks and sitting for panel discussions throughout the symposium. Soon we will post the program here. Registration is not required, but if you want to be informed about the details of this event, then drop us an email and we add you to our list: ceumap@ceu.edu. For more, see the CEU MAP chapter.